As cities around the world grow, they are looking for ways to maintain an efficient transportation infrastructure that also meets environmental standards. By providing a fuel alternative to the heavy trucking industry, Oberon Fuels offers cities and governments a new way to improve air quality and the health of their citizens, reduce the costs of managing their waste streams, and more efficiently transport goods that thriving cities need. DME fuel can be made from a variety of locally available waste streams with Oberon’s production units. Any waste that can be converted to biogas is a potential feedstock for the Oberon process, allowing cities to generate their own fuel while also reducing the need to ship waste long distances for disposal. 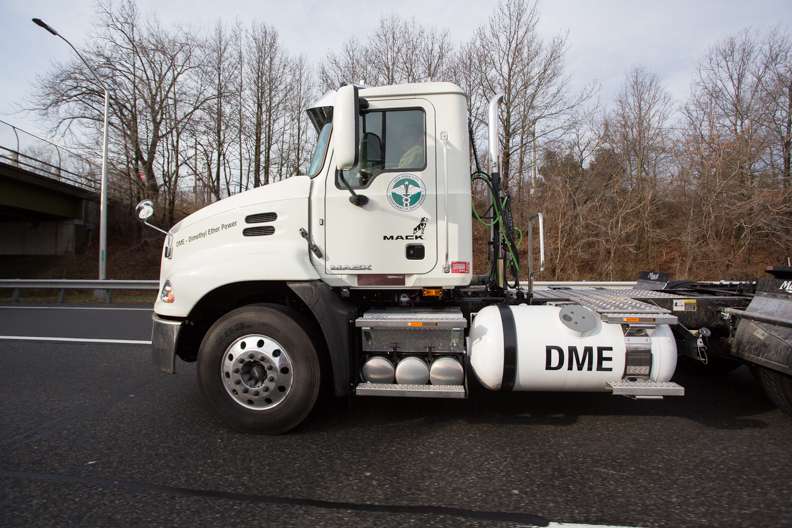 DME comes with a 68-101% reduction* in greenhouse gas emissions over diesel, depending on the feedstock used. DME also produces zero particulate matter, zero sulfur oxides, and extremely low nitrogen oxide levels. Reducing these emissions from a city’s heavy trucking sector can lead to direct improvements in human health, better water quality, and clearer skies. Oberon is working closely with cities in the United States and around the world that are looking to improve the quality of life for their citizens by integrating DME fuel into their transportation and waste management systems. *Compared to diesel, based on renewable bio-based feedstock, see EPA’s analysis of Oberon’s DME for the Renewable Fuel Standard and this SAE Technical Paper on DME GREET Analysis.